Alma’s words to his son Helaman, as recorded in Alma 37, contain the somewhat perplexing reference to Gazelem, apparently an unspecified servant who should perform a special work for God. Alma prophesied, “And the Lord said: I will prepare unto my servant Gazelem, a stone, which shall shine forth in darkness unto light, that I may discover unto my people who serve me, that I may discover unto them the works of their brethren, yea, their secret works, their works of darkness, and their wickedness and abominations” (Alma 37:23). While Gazelem is perhaps the name of the individual using the stone prepared by God, the issue is far from settled. Royal Skousen has traced Mormon interpretations of this passage to the lifetime of Joseph Smith himself, where both the Prophet Joseph Smith and the stone were variously identified as Gazelem. Joseph Smith would easily fit the identity of Gazelem. As several historians and scholars have discussed, Joseph used both the Nephite Interpreters (later called the “Urim and Thummim”) that were discovered with the plates and his individual seer stone in the translation of the Book of Mormon. Even some General Authorities have written on this topic, and future work that is sure to illuminate this subject is forthcoming. Despite these ambiguities, it is clear that Joseph utilized sacred instruments—in this case seer stones that he found or the interpreters, which Moroni gave him—that had been prepared by the Lord for the purpose of translating the Book of Mormon. Questions remain as to how Joseph used these instruments, such as when precisely he used which devices during the translation process. That the Prophet did in fact utilize divinely-prepared instruments as mediums for inspiration in the translation of the Book of Mormon and some early revelations (e.g. Doctrine and Covenants 3, 6, 7, 11, 14, 17), however, is beyond dispute. Many people today have come to outright dismiss the existence of miracles or supernatural forces. Claims that cannot be explained scientifically or rationally are often treated as mere superstition, especially in the secular West. 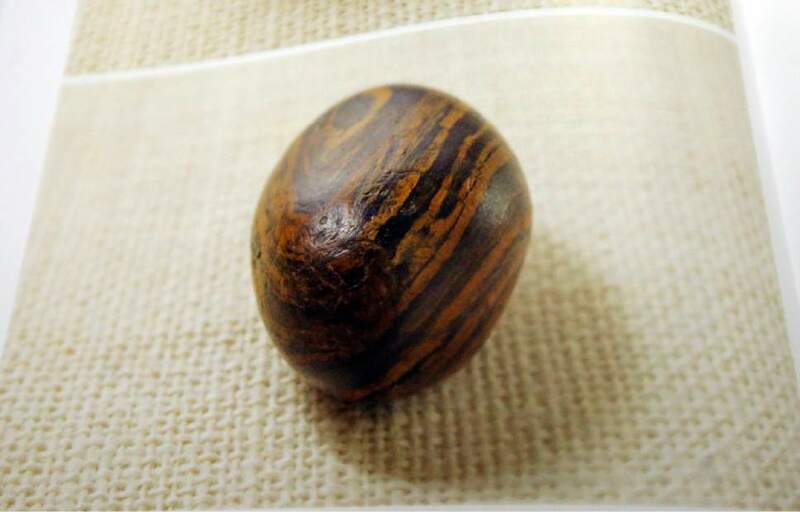 It’s therefore understandable why many have a hard time accepting that the Lord would prepare seemingly “magical” or wondrous stones for Joseph Smith to use in translating the Book of Mormon. Joseph Smith’s use of such stones needs to be situated in its historical and theological context. The practice of using stones or glass as media to receive divine revelation is a documented practice in many modern and ancient cultures, including among the ancient Israelites and the ancient (as well as modern) Maya. In Joseph Smith’s own day so-called “folk magic” was practiced in rural parts of the United States. This included the use of stones, rods, and other instruments to communicate with spirits, find hidden treasures protected by supernatural guardians, look for lost objects, or even discover sources of water. The Smith family participated in this culture, and Joseph himself had a reputation as a village seer even before he retrieved and translated the plates. It is crucial to keep in mind, however, that there still exists much debate among anthropologists and historians how to properly define “magic” (as opposed to the more conventional “religion”) as practiced by both ancient and modern people. The men and women who participated in these supernatural practices typically did not find them to be in conflict with their own Christian faith. After all, prophets in both the Old and New Testament, including Moses and Elijah, Peter and Paul, and of course Jesus Himself, possessed powers or instruments that were used to perform great wonders. Well-known is the biblical practice of casting lots, which had a clear supernatural dimension (cf. 1 Nephi 3:11). Claims that “a magic world view” as having heavily influenced Joseph Smith should therefore be approached very cautiously. Legitimate questions still remain as to just how involved Joseph actually was in this type of folk culture and how much it actually impacted him. Nevertheless, Mormon theology allows for the Lord to communicate to His children through culturally embedded methods (2 Nephi 31:3; D&C 1:14). Furthermore, the Book of Mormon itself speaks specifically about the Lord preparing “means” (physical instruments) through which He would channel His power, including sacred stones that would aid seers in translating ancient records by the gift and power of God (Mosiah 8). We may ultimately never fully understand the nature or process of the Book of Mormon’s translation, including why the Lord prepared sacred stones for Joseph the Seer to utilize. Nevertheless, the fact remains that Joseph consistently and repeatedly testified, and many witnesses close to the process confirmed, that he translated the plates by the gift and power of God, not through any kind of trickery or hocus-pocus conjuring. A sound understanding of the history behind the translation of the Book of Mormon can answer some questions or otherwise be faith-promoting in some regards. A spiritual testimony of Joseph Smith’s calling as a seer, including a burning testimony of the divine nature of the Book of Mormon, however, comes only from God, through the power of the Holy Ghost. Richard E. Turley Jr., Robin S. Jensen, and Mark Ashurst-McGee, “Joseph the Seer,” Ensign, October 2015, 49–54. Roger Nicholson, “The Spectacles, the Stone, the Hat, and the Book: A Twenty-first Century Believer’s View of the Book of Mormon Translation,” Interpreter: A Journal of Mormon Scripture 5 (2013): 121–190. For a possible etymology, see “Gazelem,” Book of Mormon Onomasticon, ed. Paul Y. Hoskisson. Joseph Fielding McConkie and Robert L. Millet, Doctrinal Commentary on the Book of Mormon, 4 vols. (Salt Lake City, UT: Bookcraft, 1987–1992), 3:278; compare Matthew Roper, “Teraphim and the Urim and Thummim,” Insights: A Window on the Ancient World 20, no. 9 (September 2000): 2; Ray Lynn Huntington, “Gazelem,” in Book of Mormon Reference Companion, ed. Dennis L. Largey (Salt Lake City, UT: Deseret Book 2003), 284; Brant Gardner, Second Witness: Analytical and Contextual Commentary on the Book of Mormon, 6 vols. (Salt Lake City, UT: Greg Kofford Books, 2007), 4:512–513. Royal Skousen, Analysis of Textual Variants of the Book of Mormon: Part Four, Alma 21–55 (Provo, UT: FARMS, 2007), 2361–2363. Richard Lloyd Anderson, “‘By the Gift and Power of God’,” Ensign, September 1977, 78–85; Richard Van Wagoner and Steve Walker, “Joseph Smith: ‘The Gift of Seeing’,” Dialogue: A Journal of Mormon Thought 15, no. 2 (Summer 1982): 49–68; Stephen D. Ricks, “Notes and Communications—Translation of the Book of Mormon: Interpreting the Evidence,” Journal of Book of Mormon Studies 2, no. 2 (1993): 201–206; Royal Skousen, “Translating the Book of Mormon: Evidence from the Original Manuscript,” in Book of Mormon Authorship Revisited: The Evidence for Ancient Origins, ed. Noel B. Reynolds (Provo, UT: FARMS, 1997), 61–93; Matthew B. Brown, Plates of Gold: The Book of Mormon Comes Forth (American Fork, UT: Covenant Communications, 2003); John W. Welch, “The Miraculous Translation of the Book of Mormon,” in Opening the Heavens: Accounts of Divine Manifestation, 1820–1844 (Provo and Salt Lake City, UT: BYU Press and Deseret Book, 2005), 77–213; Don Bradley, “Written by the Finger of God? Claims and Controversies of Book of Mormon Translation,” Sunstone, December 2010, 20–29; Brant A. Gardner, The Gift and Power: Translating the Book of Mormon (Salt Lake City, UT: Greg Kofford, 2011); Roger Nicholson, “The Spectacles, the Stone, the Hat, and the Book: A Twenty-first Century Believer’s View of the Book of Mormon Translation,” Interpreter: A Journal of Mormon Scripture 5 (2013): 121–190; Michael Hubbard MacKay and Gerrit J. Dirkmaat, “Firsthand Witness Accounts of the Translation Process,” in The Coming Forth of the Book of Mormon: A Marvelous Work and a Wonder, ed. Dennis L. Largey et al. (Provo, UT and Salt Lake City, UT: Religious Studies Center, Brigham Young University, and Deseret Book, 2015), 61–79; From Darkness Unto Light: Joseph Smith’s Translation and Publication of the Book of Mormon (Provo, UT and Salt Lake City, UT: Religious Studies Center, Brigham Young University, and Deseret Book, 2015); Stanford Carmack, “Joseph Smith Read the Words,” Interpreter: A Journal of Mormon Scripture 18 (2016): 41–64. B. H. Roberts, “Book of Mormon Translation,” Improvement Era, July 1906, 706–713; Russell M. Nelson, “A Treasured Testament,” Ensign, July 1993, 61–63; Neal A. Maxwell, “‘By the Gift and Power of God’,” Ensign, January 1997, 36–41; Steven E. Snow, “Joseph Smith in Harmony,” Ensign, September 2015, 51–57. Michael Hubbard MacKay and Nicholas J. Frederick, Joseph Smith’s Seer Stones (Salt Lake City and Provo, UT: Deseret Book and the Religious Studies Center, Brigham Young University, 2016), forthcoming. “Book of Mormon Translation,” online at lds.org. Cornelis Van Dam, The Urim and Thummim: A Means of Revelation in Ancient Israel (Winona Lake, IN: Eisenbrauns, 1997); Marc G. Blainey, “Techniques of Luminosity: Iron-Ore Mirrors and Entheogenic Shamanism among the Ancient Maya,” in Manufactured Light: Mirrors in the Mesoamerican Realm, ed. Emiliano Gallaga M. and Marc G. Blainey (Boulder, CO: University Press of Colorado, 2016), 179–206; John J. McGraw, “Stones of Light: The Use of Crystals in Maya Divination,” in Manufactured Light, 207–227; Olivia Kindl, “The Ritual Uses of Mirrors by Wixaritari (Huichol Indians),” in Manufactured Light, 255–283; Karl Taube, “Through a Glass, Brightly: Recent Investigations Concerning Mirrors and Scrying in Ancient and Contemporary Mesoamerica,” in Manufactured Light, 285–314; John A. Tvedtnes, “Glowing Stones in Ancient and Medieval Lore,” Journal of Book of Mormon Studies 6, no. 2 (1997): 99–123; Gardner, Second Witness, 4:511; Mark Alan Wright, “Nephite Daykeepers: Ritual Specialists in Mesoamerica and the Book of Mormon,” Ancient Temple Worship: Proceedings of the Expound Symposium, 14 May 2011 (Orem and Salt Lake City, UT: The Interpreter Foundation and Eborn Books, 2014), 244–246. Dowsing, or using a rod to locate water, oil, graves, ores, or stones, is still practiced in some cultures today. Mark Ashurst–McGee, “A Pathway to Prophethood: Joseph Smith Junior as Rodsman, Village Seer, and Juedo-Christian Prophet” (Master’s Thesis, Utah State University, 2000); Gardner, The Gift and Power, 3–134. See for instance Exodus 7:9–12; 25:10–22; 29:4–7; Numbers 21:4–9; 2 Kings 5:1–19; 6:1–7; John 9:1–7; Acts 19:11–12. For a discussion, see Helen R. Jacobus et al., ed., Studies on Magic and Divination in the Biblical World (Piscataway, NJ: Gorgias, 2013); Richard A. Horsley, Jesus and Magic: Freeing the Gospel Stories from Modern Misconceptions (Eugene, OR: Cascade, 2014). See Leviticus. 16:8; Numbers. 26:55; 33:54; 34:13; Joshua. 13:6; 14:1–2; Judges. 20:9; 1 Samuel. 10:20–21; 14:40–42; 1 Chronicles. 24:5, 31; 25:8; 26:13–14; Acts 1:26. The leading historians to advance this thesis are D. Michael Quinn, Early Mormonism and the Magic World View, 2nd edition (Salt Lake City, UT: Signature Books, 1998); John L. Brooke, The Refiner’s Fire: The Making of Mormon Cosmology, 1644–1844 (Cambridge: Cambridge University Press, 1994). For extensive reviews of Quinn and Brooke, see John Gee, “‘An Obstacle to Deeper Understanding’,” FARMS Review of Books 12, no. 2 (2000): 185–224; William J. Hamblin, “That Old Black Magic,” FARMS Review of Books 12, no. 2 (2000): 225–393; William J. Hamblin, Daniel C. Peterson, and George L. Mitton, “Mormon in the Fiery Furnace: Or, Loftes Tryk Goes to Cambridge,” Review of Books on the Book of Mormon 6, no. 2 (1994): 3–58. Kerry Muhlestein, “Seeking Divine Interaction: Joseph Smith’s Varying Searches for the Supernatural,” in No Weapon Shall Prosper: New Light on Sensitive Issues, ed. Robert L. Millet (Provo, UT and Salt Lake City, UT: Religious Studies Center, Brigham Young University, 2011), 77–91; Samuel M. Brown, “The Reluctant Metaphysicians,” Mormon Studies Review 1 (2014): 115–131; Richard Lyman Bushman, “Joseph Smith and Money Digging,” in A Reason for Faith: Navigating LDS Doctrine and Church History, ed. Laura Harris Hales (Provo, UT and Salt Lake City, UT: Religious Studies Center, Brigham Young University, and Deseret Book, 2016), 1–6; Eric A. Eliason, “Seer Stones, Salamanders, and Early Mormon ‘Folk Magic’ in the Light of Folklore Studies and Bible Scholarship,” BYU Studies Quarterly 55, no. 1 (2016): 73–93. See Book of Mormon Central, “Why Did the Angel Speak to Alma with a Voice of Thunder? (Mosiah 27:11),” KnoWhy 105 (May 23, 2016). See Book of Mormon Central, “Why is a Seer Greater Than a Prophet? (Mosiah 8:15),” KnoWhy 86 (April 26, 2016). For example, multiple eyewitnesses spoke of Joseph translating by placing the seer stone into the bottom of a hat and then burying his face in the hat to block out the light around him. From there he would see words appear in the stone and then dictate those words to his scribe. If this was in fact how Joseph translated a substantial amount of the Book of Mormon, as the historical evidence suggests, then it would have been impossible for him to have cribbed from a nearby Bible or pilfered manuscript as he dictated. For thoughts along these lines, see Daniel C. Peterson, “Editor’s Introduction: Not So Easily Dismissed: Some Facts for Which Counterexplanations of the Book of Mormon Will Need to Account,” FARMS Review 17, no. 2 (2005): xi–xxiv. The Book of Mormon is witness of itself. It is the most Christian of any book on this earth, and it needs no independent corroboration to establish its veracity. Those who need evidences to sustain their testimony are not spending enough time feasting upon its contents. One may get nearer to Christ if they will! The fact that this means of translation was used has been troubling for some—yet another needless crisis of faith. Why? What is more faith-challenging, a revelatory communication method that involves a stone in a hat or a burning bush that does not consume? What if Joseph had claimed getting revelation from an ignited tumbleweed?